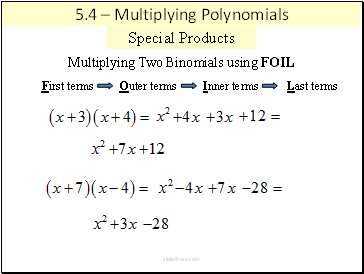 Coefficient: the numerical factor of each term. 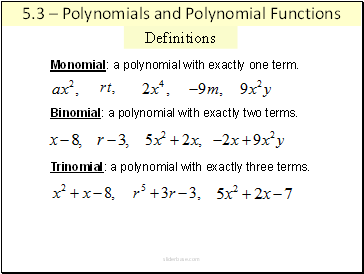 Constant: the term without a variable. 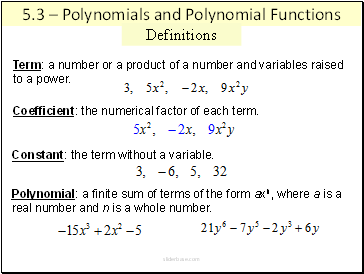 real number and n is a whole number. 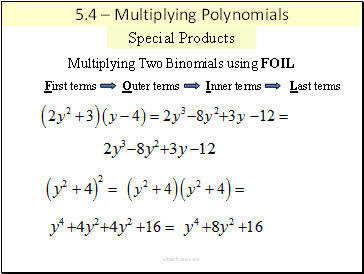 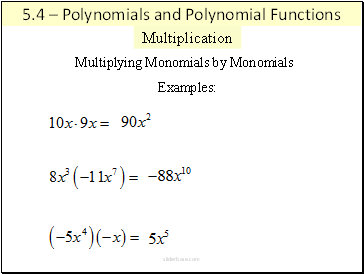 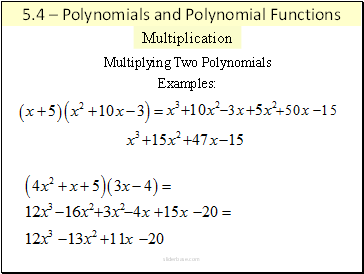 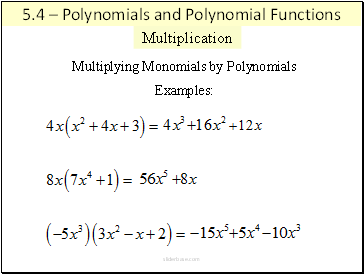 Monomial: a polynomial with exactly one term. 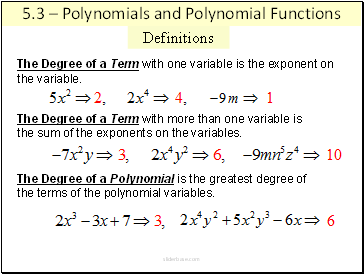 The Degree of a Term with more than one variable is the sum of the exponents on the variables. 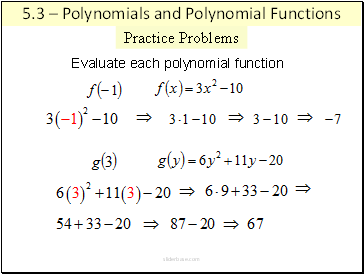 The Degree of a Polynomial is the greatest degree of the terms of the polynomial variables. 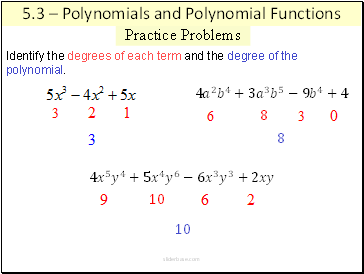 Identify the degrees of each term and the degree of the polynomial.